What's the fresh cut exactly? It's about cutting a slice at the base of the trunk just before installing the tree in its base of water. This would allow the tree to keeps its moisture better, because if the time interval between the moment the tree is cut and the moment it's put in the water is too long, the surface may dry out. According to some hearsay, the fact that the end is dry could reduce the water absorption capacity of the tree. 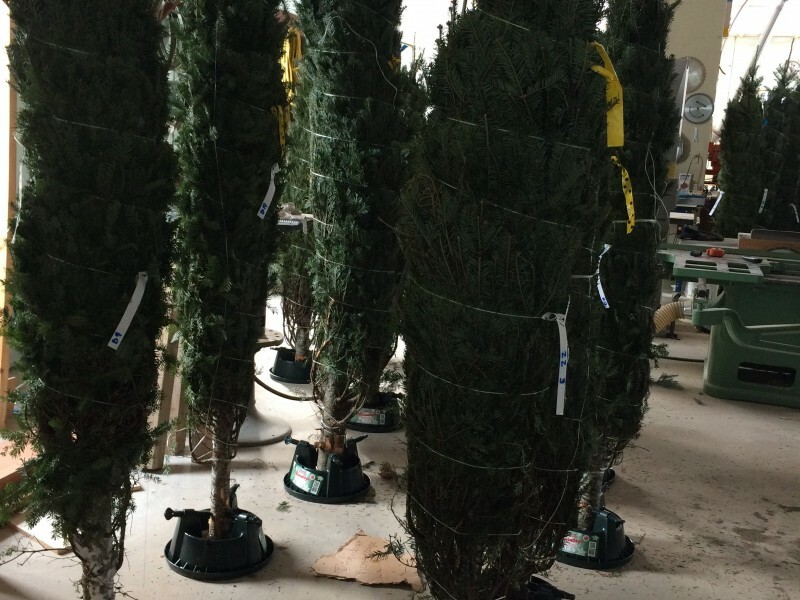 Several specialists recommend that a fresh cut be made immediately before the tree is installed in its base of water. However, no test proves the effectiveness of fresh cutting and its impacts on the actual water absorption. To be able to affirm that the fresh cut is actually effective, we had formulated the following hypothesis : the quantity of absorbed water would decrease as the time time between the fresh cut and the time its put in the water increase. Our hypothesis turned out to be true. There was a clear difference between groups 1-2 and groups 3-4-5. Indeed, for the entire duration of the experiment, groups 1-2 absorbed, on average, 1 liter of water more than groups 3-4-5. However, the difference between the amount of water absorbed by group 1 and 2 is minimal as is the case of groups 3-4-5. Why? In our opinion, the fact that there is little difference between group 1 and group 2 is because in 2 hours th end of the tree does not have the time to dry completely. As a result, it has no impact on water absorption capacity. Then, past a certain point where the end is completely dried, the extra time no longer affects the water absoprtion capacity wich explain the large margin between groups 1-2 and 3-4-5 as well as the little variation between groups 3-4-5. WE HAVE A NEW FOR 2018! 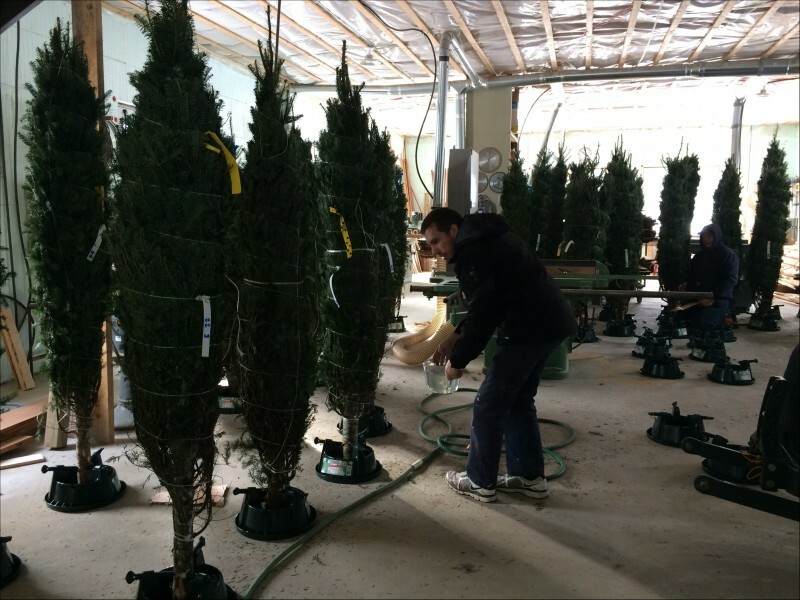 Before our tests, we made our fresh cut the day before delivery, so between 12-24 hours before puting the tree in water. Wich corresponds to groups 3-4-5, so with reduced water absorption capacity. Given that offering Christmas trees of superior quality is one of our priorities, all of our deliverymen will now have chainsaws with them to make a fresh cut immediately before installing the tree at our customers houses. We chose battery chainsaw to make it easier for our deliverymen and to avoid inconveniencing our customers with electrical connections or handling gasoline. Plus, these turn out to be a greener choice!